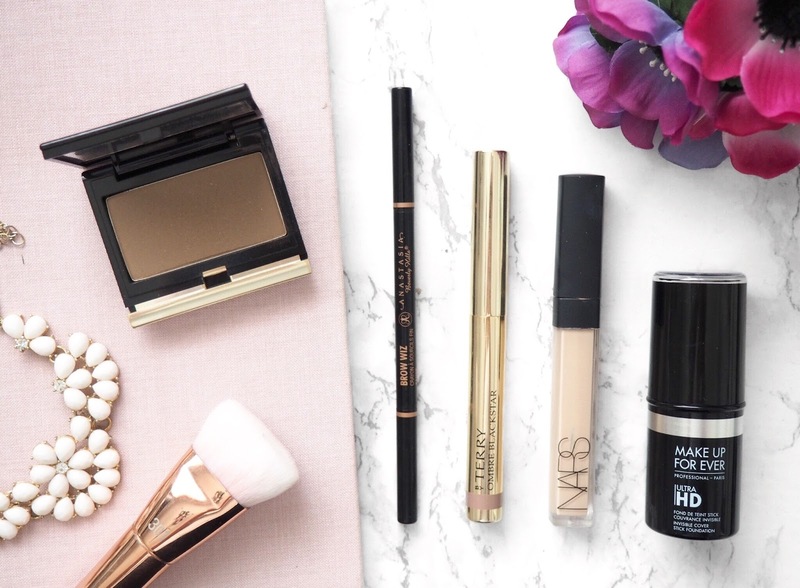 High end makeup is my weakness, it’s no secret around here as I’m always raving about the latest additions to my collection and as much as I love a drugstore bargain, there’s just something about high end makeup that will always win my heart over (not so much my bank balance). Here are my top 5 splurge-worthy beauty picks. Kevyn Aucoin Sculpting Powder in Medium | When I first heard people rave about this I just dusted it off as one of those over hyped products that has it’s moment then sort of dies down, plus I simply refused to hand over £35 for a contour powder… that was until I saw it when I was in Space NK then I practically threw my money at the till and skipped out the door with this in hand. I can totally agree with the hype surrounding it, it’s the perfect contouring shade without being too orange nor too grey and leaves my face looking more human less potato, it’s a big yes from me. Anastasia Beverly Hills Brow Wiz | When it comes to eyebrows they’re the thing I hate most about doing my makeup, they’re not fun or creative to do especially if you’re blessed with rather sparse brows with a chicken pox scar in like myself! Although I don’t like doing them, for me it’s vital to add a bit of brow pencil before I walk out the door and the one I’ve used for a couple of years now is the ABH Brow Wiz. Of course I’ve tried others, but nothing will ever compare to this. By Terry Ombre Blackstar | Where do I even start with these shadow sticks, they’re everything and more – is it possible to marry makeup because I’m in! Although they come with an absolutely crazy £29 price tag they’re so worth it. I have both Misty Rock and Frozen Quartz which both I love dearly. They’re so pigmented and have such a beautiful metallic sheen run through them and the best part is the lasting power, I know I can put them on in the morning and they’ll still be looking the same 12 hours later, which for a shadow stick is incredible! NARS Radiant Creamy Concealer | This concealer has such a big following now that you’ve probably heard about 3 million people rave about it (myself included!) but it really is such a lovely concealer, this is actually my 8th tube of the stuff – that really is love! The thing I love about this concealer is that it works well wherever you use it, it’s great for concealing redness or blemishes without being to thick to use under the eyes. This would easily be in my top 3 all time favourite beauty products, in fact it would probably win first place. Make Up For Ever Ultra HD Foundation Stick | Last but not least is this incredible foundation stick from MUFE. Whilst I don’t usually get on with foundation sticks, I just picture a caked face when I even here the word, MUFE have somehow managed to create the perfect formula that can be worn lightly or built up for more coverage whilst still leaving your skin looking like skin. I wear this pretty much daily and I couldn’t be without it. So those are 5 of my favourites, it was really hard to pick as there’s so many products I love dearly so expect a part 2, 3 and probably 4 in the future! What are some of your favourite high end products?